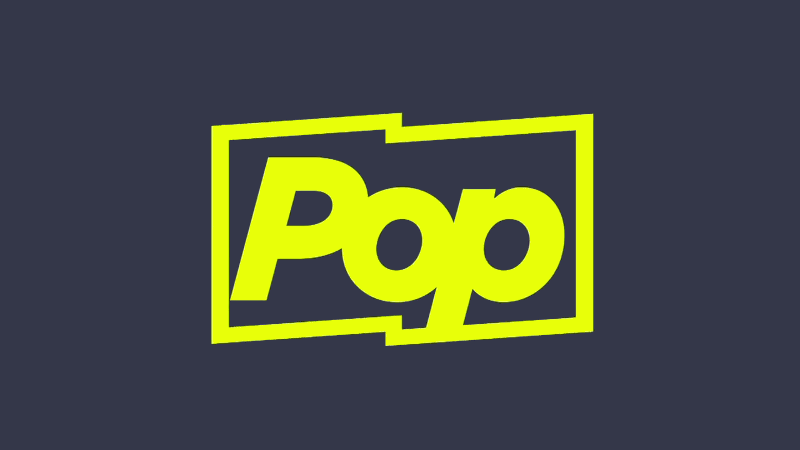 Back in September, we learned that US cable channel TVGN was about to change its name to Pop. The network was renamed this month and launched its new logo along with a graphics package, which loyalkaspar created in collaboration with the Pop team. Loyalkaspar worked with TVGN/Pop over six months to create a cross-platform brand that "celebrates the fun of being a fan". The logo is designed to be "modern, friendly and instantly iconic" and the entire system was built around it. Flexible and bright on-screen graphics were designed to reinforce an "emotional yet conversational spirit" between Pop and its viewers. The rectangle in the main logo can be changed into various 'flags' that are used as presentation devices. Quick is France's second largest restaurant chain with additional restaurants in Belgium and Luxembourg. It specialises in hamburgers and is thus a sort of local alternative to McDonald's. It started 2015 by introducing a comprehensive new communications platform, which includes a refreshed visual identity, designed by Carré Noir. The new communication platform is summed up by the claim "the taste to do more", which stands for Quick's willingness to do more for its costumers. A press release says the new logo is more modern and impacting. It drops the archaic stylised roof, but keeps the well-recognised Q and the colour red. It comes with a new design for its restaurants. One final look back at 2014 with the logo round-up for December, a month that brought about a fair amount of solid rebrands. Pitney Bowes is an American company that provides technology solutions for shipping and mailing. Its origins was in postal machines and it is still well known for its mail and document solutions. As any other company that deals with physical papers it has had to reposition itself in an increasingly digital world, and has done this by venturing into different eCommerce services. Last week, the company unveiled a new corporate identity to highlight this transformation. The new identity was developed by Futurebrand, with web development by DigitasLBi. The idea behind the rebrand is summed up as "Accuracy and Precision for Impact", representing Pitney Bowes' ambition and track record in delivering to its costumers. The new symbol features concentric circles to symbolise "the rippling impact Pitney Bowes creates". Futurebrand says the logo is "modern, bright and dynamic" and that the subtle initials P and B pay tribute to the company founders. HLN is the US sister channel of CNN, previously known as Headline News and providing more condensed news updates. Recently, CNN has tried to reposition HLN as a network for a younger audience of "millenials". As part of this, the network recently introduced a new version of its logo. The new logo is still based on a speech bubble, but the proportions have changed and the H-L ligature is gone. Presumably, the new logo will be better suited for integration with other graphics. Canal J is a French satellite television channel with programmes for children. It was founded in 1985, which makes it one of the oldest non-terrestrial TV channels in France. This year it is celebrating its 30th anniversary, and they started it by introducing a new logo which launched this week. The logo and the graphics package that came with it were created by French motion design agency Motionfanclub. The new look should convey Canal J's status as a premium channel. The new logo, a J in an orange square, has been optimised to work across platforms. The graphics "bounce" on screen in an innovative way. A specifically composed sound environment uses guitars and electro pop. Home appliance maker Electrolux unveiled a new visual identity yesterday, January 14. Its development is credited to brand design agency Prophet. The new logo keeps the iconic Electrolux symbol, designed by Swiss designer Carlo Vivarelli and introduced in 1962. Back then, it also included a serif logo-type which has been with the brand with minor updates for fifty years. Now, it is being replaced by a simpler type treatment. The company says the simplified typography puts greater emphasis on the classic symbol, which is left virtually unchanged. Founded in Stockholm, Sweden where it is still head-quartered, Electrolux products are now sold worldwide. The incremental roll-out of the new logo started yesterday. 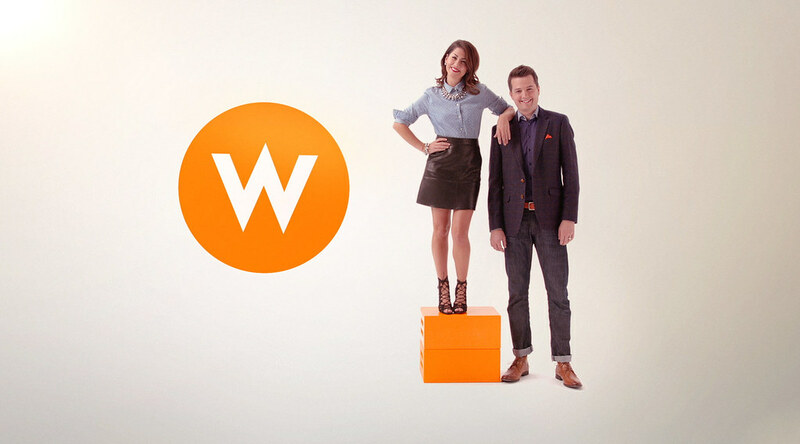 W Network is Canada's leading television network dedicated to programming for women. This month it has introduced a new graphics package, created by Los Angeles-based Troika. Using a concept dubbed "Reveal", the new graphics make use of negative space in a clean white and orange environment. New IDs were filmed in Toronto and feature talent from W Network programmes as well as the network's logo, which is unchanged. Last month, the Portuguese print media group changed its name to Global Media Group. The new name is a reflection of the company ambition to transmit Portuguese content across the world. The visual identity was developed by Portuguese brand consultancy Mybrand. The symbol also conveys transmission of diverse content to diverse audiences. It is also an abstraction of the letter G in an organic form. CarsGuide is an Australian website that aims to make buying a car online both simpler and more transparent. Seeking to communicate that mission, last September it launched a new visual identity, developed by Interbrand Sydney. Using a brand idea called "Joy Mechanics", communication materials use two voices. One is "the Mechanic" which gives straight-forward information, the other is "the Guide" that adds humorous comments. Seagate Technology is one of the world's leading manufacturers of hard disk drives. Since its foundation it has shipped over 2 billion hard disk drives, so it is very likely that you've used their products at some point. Yesterday at the International Consumer Electronics Show, the company unveiled a new corporate identity, developed with creative agency Goodby Silverstein & Partners. The new symbol, named the "Living Logo", will "showcase data as a living, vibrant thing that powers human invention, culture and advances". In some instances, the symbol will be made up of lots of images that symbolise data. Sovereign is a luxury travel operator that allows its costumers to order bespoke holidays. In December, it launched a new visual identity, designed by London-based SomeOne. Built around the tagline "Paradise Found", the new identity aims to underline Sovereign's leading position in its field. The rebrand includes new names for hotels, colour-coding and a set of pictograms for different categories.